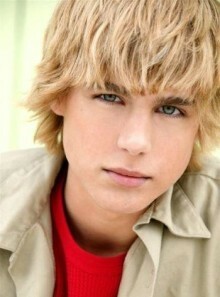 Cody Linley grew up in Lewisville, a town just outside of Dallas, Texas. From an early age Cody knew he wanted to entertain people. Fortunately for him, Texas had a flourishing film industry & was always looking for new talent. From the start, he surprised casting agents by not relying on his looks to get him a part. He also impressed directors & producers with his ability to make the most out of whatever roles he was given. instead of accepting on any movie that came his way, Cody & his parents were selective in the part he would play. While he could have gone to private school like most child actors, his family decided to let go to public school. Cody was grateful that his classmates & teachers never treated him as though he was famous. He was always willing to participate in school activities & he even tried out to be the school\’s mascot “The Fighting Farmer” (He lost). Eventually, the family moved to California so that Cody (Now sixteen years old) wouldn\’t have to travel back & forth due to his increasing work schedule. Do you want to hire Cody Linley? Directly request a quote. In 48 hours we can send you the availability of Cody Linley If you would like to book Cody Linley, Entertainment Booking Agency is the right place. We will offer you the best price and contact the management or we directly contact Cody Linley. For corporate appearances or speaking engagements you can contact our agents and the will help you true the process. Tags: hire Cody Linley, Cody Linley booking, book Cody Linley, Cody Linley appearances, find more information on booking Cody Linley for appearances, Cody Linley speaking engagements, Cody Linley endorsements/spokesperson, Cody Linley appearance fees, Cody Linley booking agency contact info, biography of Cody Linley, Contact an artist booking talent agent find a speakers bureau that can book Cody Linley, speaker booking agency for Cody Linley, Cody Linley booking agency, Cody Linley booking for corporate event. EBA is one of the biggest entertainment booking agencies in the World. We book hundreds of celebrities, artist, athletes and speakers in a year. Important to know is that we are not claiming to be the management of Cody Linley. We are not the official agent for Cody Linley. Companies from around the globe book these artists and speakers true our company be course we have one of the biggest networks and we always have direct contact with the artist or the management. We help you to find the right celebrities for your corporate of private events. Please contact one of our agents to get free advice and we will help to get the world-famous artist on your party.